The Vein & Vascular Institute of Spring Hill, Florida was founded with the sole purpose of diagnosing and treating the many vein and arterial diseases that are affecting millions of Americans today. Our vein clinic is a state-of-the-art facility, and is one of only a few in the state of Florida that is a Nationally Accredited Vascular Laboratory. At our vascular surgery Spring Hill FL facility, our technicians and Board Certified Vascular Surgeons employ the most advanced technology available anywhere in order to provide all our patients in Spring Hill with effective, trusted, and excellent arterial and vascular surgery services. Our vein surgeons have undergone many years of intense and specialized training. This allows them to accurately and painlessly detect and treat any arterial and vein diseases in their earliest stages, before they become detrimental to our patients’ health and quality of life. 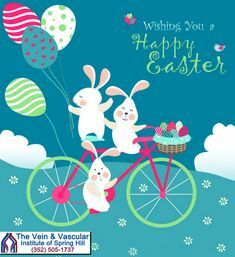 Unlike other vein clinics and vein doctors in the Spring Hill area, we have the ability to diagnose and treat the entire vascular system. Our vein doctors focus on the vascular system as a whole, not just as one part. If you are suffering from any arterial or vein disease, do not hesitate, or wait until it is too late. Give us a call today at (352) 505-1737 to schedule a vein consultation and to find out which vascular solution is the best for your situation.